The real experience is much more better than a paper explanation. 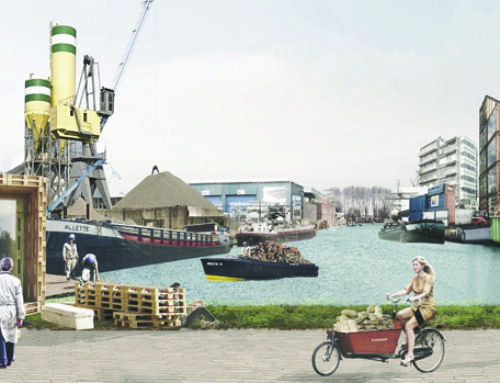 3D paper images or VR are the most common way of communication in urban design processes, but the municipality of The Hague asked us to guide an experiment with the public space to give the residents the real experience of what could happen in their street. 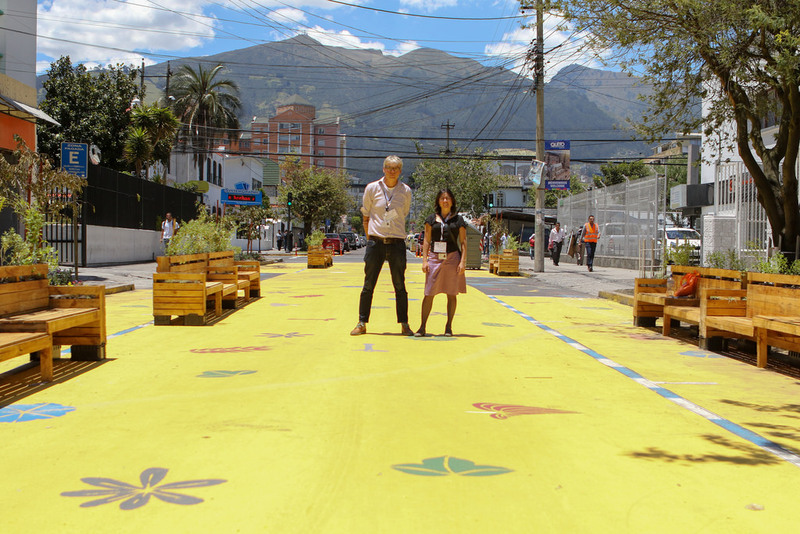 In this experiment a street was closed and a temporary square was built. During a three month period the residents could experience what would happen. Residents could vote whether the square became permanent or that the old situation would be continued. A majority of residents eventually voted for the square. 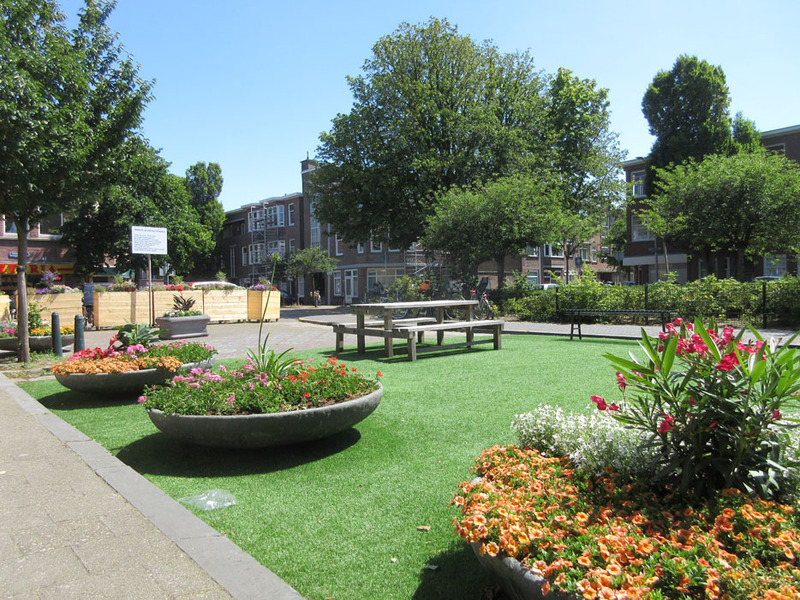 The streets and squares of the neighbourhood Bezuidenhout are being redeveloped and the municipality had organised an active participation process to involve the residents. 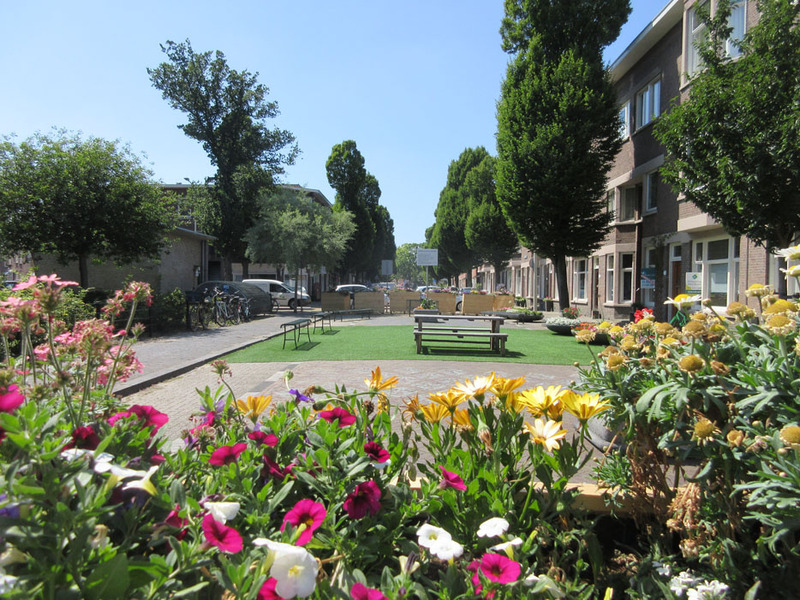 The residents were also invited to think about the future design of the street called “De Sillestraat”; a wide street with a green zone in the middle. Residents could not agree on how cars would drive through the street in the future and if there should be more car-free public space. 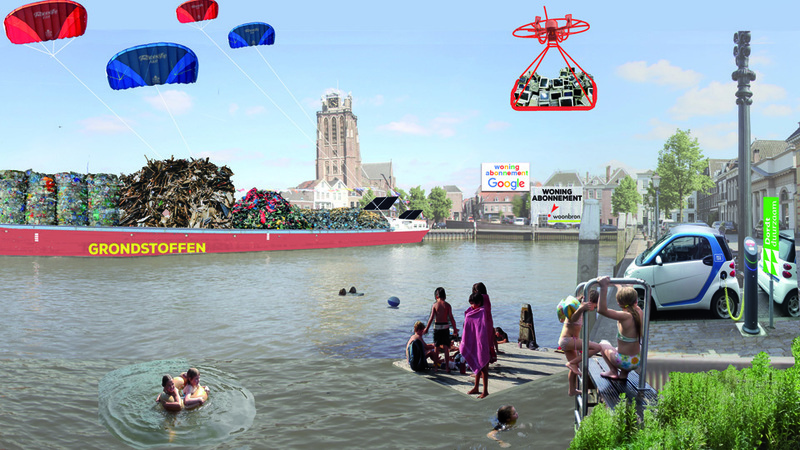 The municipality proposed an experiment to temporarily impose the future situation, in this way everyone could experience whether this is fun or that it does not work properly. The municipality asked us to guide the experiment. We started with a frameworks and designed three possible temporary constructions and discussed we these with neighbourhood residents. On a second evening choices were made how eventually a final choice will be made about the future traffic structure, namely through a majority vote. In May, the street (De Sillestraat) was closed and the temporary square was built and opened. 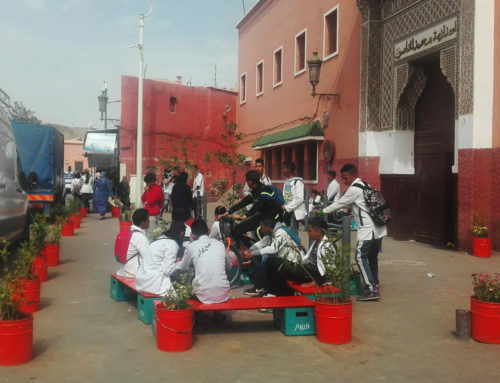 Temporary parking spaces were made alongside the square and spaces for green, play, ride bikes and to sit were constructed. The used materials were in stock or would be reused in other places after the experiment. 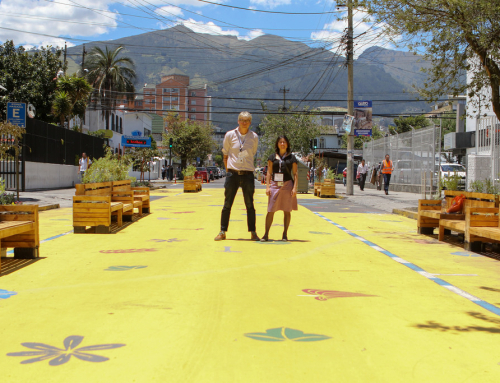 A pattern was painted on the streets with neighbourhood residents to emphasize the experimental character of the construction. Suddenly a car street became a sunny square for three months. Children played, parents chattered and in the evening it was the place for a drink and bite. On the National Play Day a fun activity and BBQ was organized. Residents were particularly excited about the possibilities to play and the abundance of green and flowers. 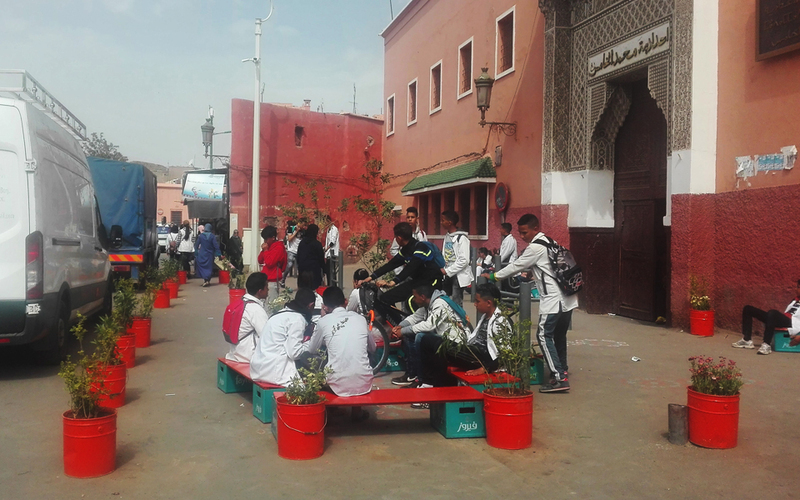 The new Bicycle racks were also valued and prevented cars and bikes to enter the square. In July, residents of the square and adjacent street sections were invited to vote. Each household received a unique personal voting code to vote online or by paper. The turn out was 47% and the majority (53%) chose the variant with more car-free public space, the same layout as during the experiment. Two main questions had to be answered during the evaluation; whether the experiment is a new way of participation and what should be the process of such an experiment. Information for the evaluation was obtained through questionnaires to the residents that voted and stakeholders that were involved. One of the striking results was that a large number of new residents participated, more than half of the people indicated that they previously were not involved in the participation process. We also concluded that an online presence is essential, because most of the votes (with a unique personal code) were online. Furthermore, people indicated that the experiment gave them a real experience what might happen. 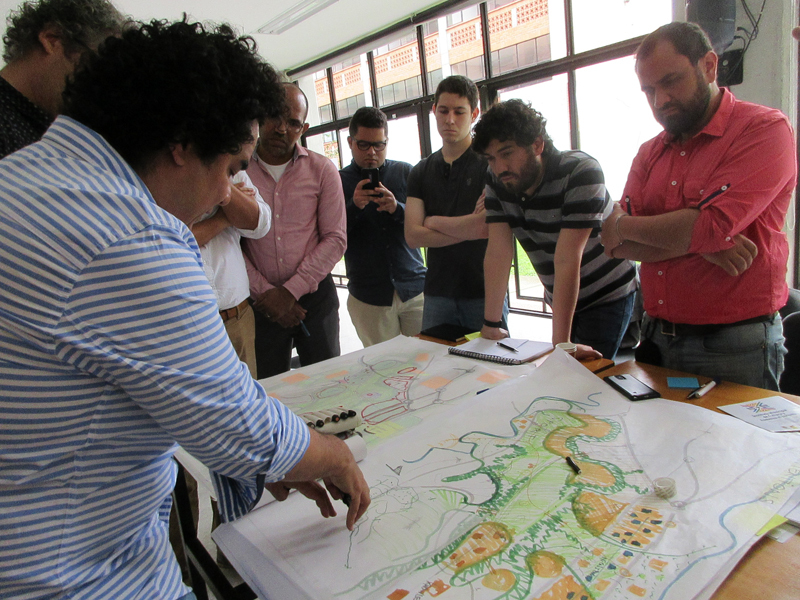 We concluded that an experiment is an interesting way for participation in the design of public space. Many parties have been involved in the process and the management of the expectations plays a major role in preventing disappointments. We were asked as an independent office to intervene in the running process. 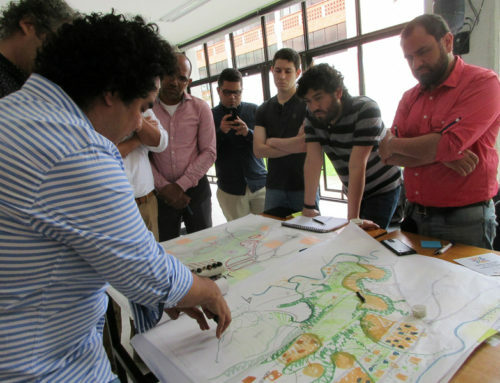 We organized two evenings during which residents could discuss the process and our urban designs, we organized the construction and wrote the evaluation. We were involved in the communication, voting and organization of activities together with the city of The Hague and a group of local citizens (Pleinenwerkgroep Bezuidenhout). We won’t be involved in the process or the design for future design of the square. 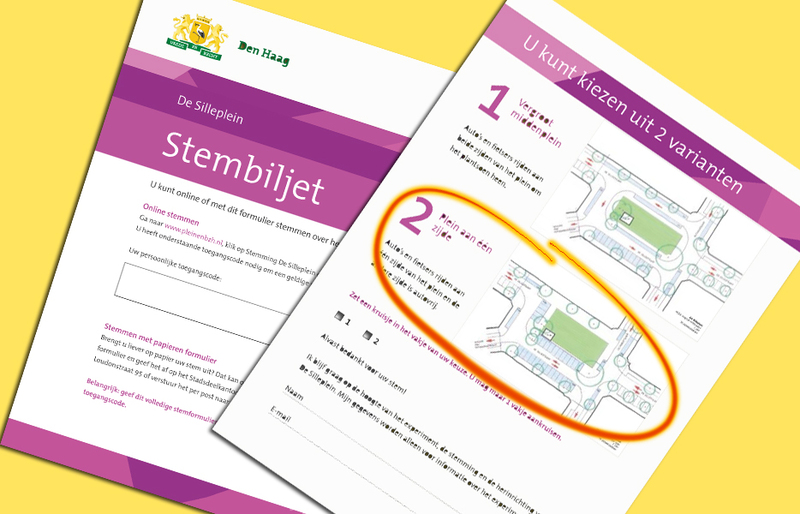 Update: In oktober 2017 the municipality presented the draft design for the future permanent situation.